We have received pictures of GeForce GTX 1660 Ti from Palit. Palit is preparing two models of StormX series. Both cards are equipped with TU116 GPU and 1536 CUDA cores. 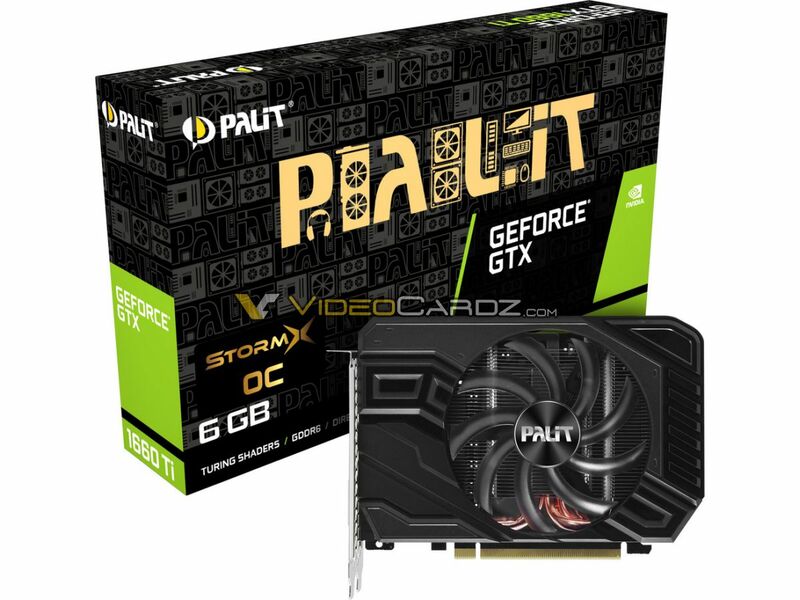 The GTX models from Palit feature 6GB of GDDR6 memory. The StormX OC variant features a clock speed of 1815 MHz, while the non-OC variant is set to default 1770 MHz. The GeForce GTX 1660 Ti launches on February 22nd.